Most days, I wake up thinking about making something… an outfit, a picture, a cake, a meal, a song, a novel, a baby… something. And on those days, when I have no choice but to respect my limits, I write. I’ve started a collection of rejection letters from agents. But still I write. I bury a lot of my stories; I apologize for rambling when I take a wrong turn in a conversation. And I reach for the well-worn journal or the uncharged computer and I write. 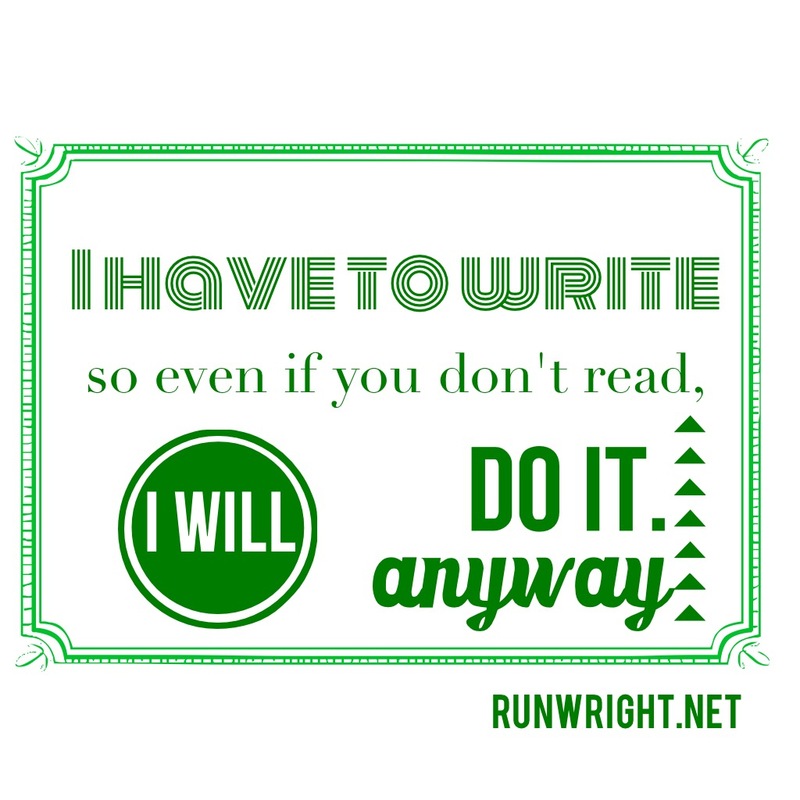 Even if no one ever reads, I write. Scribbled notes on the back of an envelope, unlinked sentences typed on my phone, poems composed in the back of my notebook when I should be doing almost anything else, I write. When a page is written in the lonely forest that is Manhattan, if no one reads, does the writer make a sound?